Cluster Feeding: Breastfeeding Through Fussy Times? Cluster feeding is a pattern of feeding that many babies adopt in the evening or early morning. Rather than spacing their feedings three to four hours apart, they want to feed every half hour to hour. Parents know that they want to feed more frequently because they become incredibly fussy, and often the only way to calm them down is to continually give them the breast or bottle. Some babies simply become irritable and cry a lot in the late evening, without the desire to feed. Since this behavior is common at this time of the day, it is believed that some babies are using the breast as a method of self-soothing. It may just be a fact that babies become cranky around the late evening hours, whether they learn to soothe themselves with frequent feeding or not. If you find yourself sitting on the couch or lying in bed with your baby evening after evening and your patience is starting to run thin, rest assured there is a silver lining in this dark cloud! 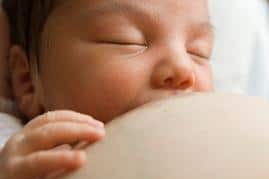 It may seem like feeding a baby nonstop for hours on end would get old fast, but most babies do go down for a long nap after breastfeeding clusters. Many parents learn to keep this in mind when they grow tired of the constant feeding in the evening. They know that their baby will likely go down for a longer than usual period of rest once they have satisfied themselves or fussed themselves out during those evening hours. In some cases, babies that cluster feed will actually sleep through the night. This is a benefit to tired mothers that are able to get a full night of rest themselves in exchange for those few hour bedtime routine of cluster feeding. Why Do Babies Cluster Feed? This is a common question that doesn’t have a concise, universal answer. Many believe that feeding in clusters is just a method of self-soothing during a time of day that many babies become fussy. Others believe that it is a way of filling up the tummy when the baby wants to go down for a longer period of rest. Since the babies are typically more alert during the day, they don’t need to feed as often at other hours of the day. Clustering comes just before that long nap that parents should look forward to each day. 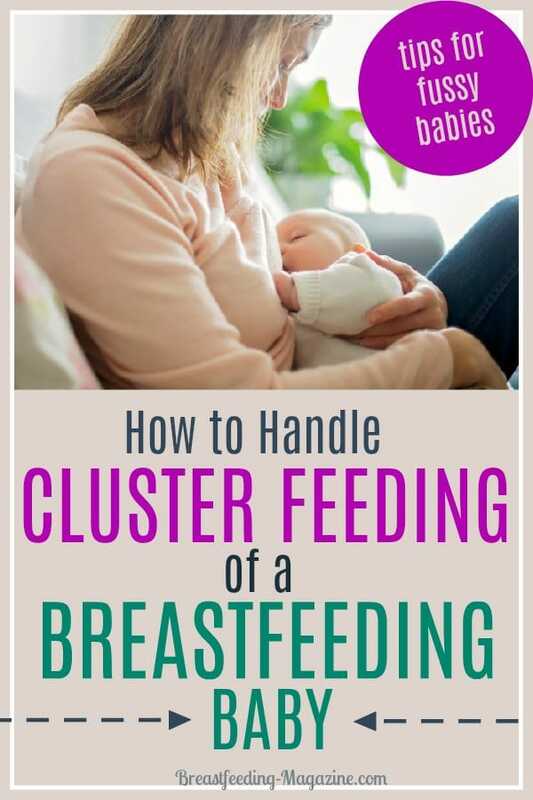 As long as your baby is generally happy throughout the rest of the day and is not upset all the time, you typically have nothing to worry about with cluster breastfeeding patterns. This is a very common feeding habit, and many parents prefer to the constant feeding to dealing with a cranky baby that doesn’t want to feed. Once you identify your baby’s cluster feeding pattern, you can plan your day around those hours that they will likely want to feed more frequently. This allows you to relax in a comfortable position and simply enjoy that time with your baby, rather than growing frustrated that you cannot get other things done at that time. Simply surrender the time to your baby, because this pattern of feeding typically only lasts a few months. Yes, your baby should eventually grow out of it! If you have a baby that wants to fuss more than feed during certain hours of the day, try to have someone around to help you in those hours! Many mothers struggle to keep their cool when their baby is crying for hours on end, so you shouldn’t feel like a failure if you need some help. If you have someone else around, they can take the baby for short periods of time to give you a much needed break from the fussing. If you are breastfeeding and your baby wants to feed constantly during these hours, make sure to take your breaks during the half hour to hour that they are not feeding. Take time to enjoy the closeness and don’t try to do too much. Mommies need down-time too.